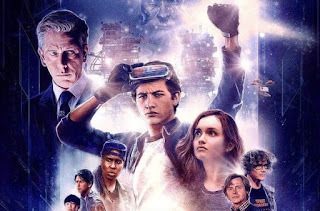 This won’t be a huge blogpost about Ready Player One, as I don’t think it’s worth writing too much about a movie 2 weeks after release, but I did want to jot down my thoughts. Firstly, I really enjoyed the movie, especially whilst watching it, it has some problems that become more apparent when thinking about it after the fact, but generally I thought it was great time at the cinema. 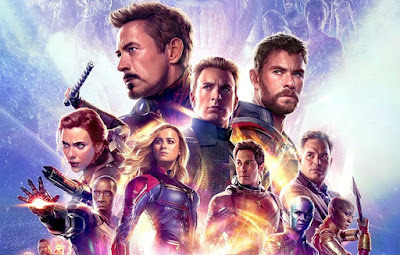 - Loved the amount of characters and cameos crammed into the movie, however I did find this a bit distracting to begin with, I found myself constantly scanning the screen to see who I could see without getting immersed in the story telling. This eventually calmed down, but still can’t believe how many IPs were in this movie. - The set-pieces were absolutely spectacular, my favourite being the first Easter Egg challenge The Race. I loved the structure of the sequence and how it was filmed, some really great angles and dynamic camera work. The Shining sequence was also great, I audibly gasps when I saw they recreated the hotel. The final battle was great from a spectacle perspective, however found this a bit underwhelming compared to the race and Shining sequence. - Some of my favourite cameos I noticed (some obvious, some hidden in the background) – RoboCop, Spawn, Ninja Turtles, Akira, Shelob (and alien chest burst), Arkham Asylum version of Harley Quinn, Akira bike and of course the Deloreon! - Speaking of Back To The Future, I’m pretty sure they were using the them and same music queues throughout the film (if not, they were very similar). - Loved the fact we had a very 80s feeling adventure movie using state of the art FX, felt like classic Spielberg. - The lead character Wade Watts seems to have no emotional response to his Aunt being killed, yes he runs to try and save her, but once it happens he wakes up in the next scene and doesn’t even mention it. - I hate the trope of the antagonist CEO going so mad, he grabs a gun and takes it on himself to “kill” the hero in the real world. This is done to death in movies and I didn’t believe his motivations. - The romance wasn't earned at all, Wade just proclaims his love for Sam pretty much out of nowhere. - I get that it’s a virtual world, but because so much of the movie was “fake looking” I did find the stakes somewhat diminished as a result. As I said at the start though, I really enjoyed watching Ready Player One in the cinema, great pop-corn flick.